From the end of the nineteenth century until the onset of the Great Depression, Wall Street embarked on a stunning, unprecedented, and often bloody period of international expansion in the Caribbean. A host of financial entities sought to control banking, trade, and finance in the region. In the process, they not only trampled local sovereignty, grappled with domestic banking regulation, and backed US imperialism—but they also set the model for bad behavior by banks, visible still today. 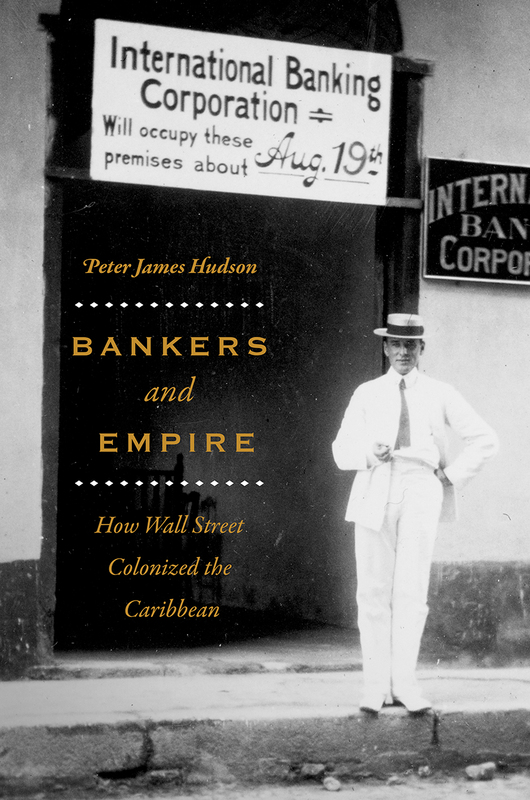 In Bankers and Empire, Peter James Hudson tells the provocative story of this period, taking a close look at both the institutions and individuals who defined this era of American capitalism in the West Indies. Whether in Wall Street minstrel shows or in dubious practices across the Caribbean, the behavior of the banks was deeply conditioned by bankers’ racial views and prejudices. Drawing deeply on a broad range of sources, Hudson reveals that the banks’ experimental practices and projects in the Caribbean often led to embarrassing failure, and, eventually, literal erasure from the archives.